See the great documentary Expedition to the End of the World if you have the chance. 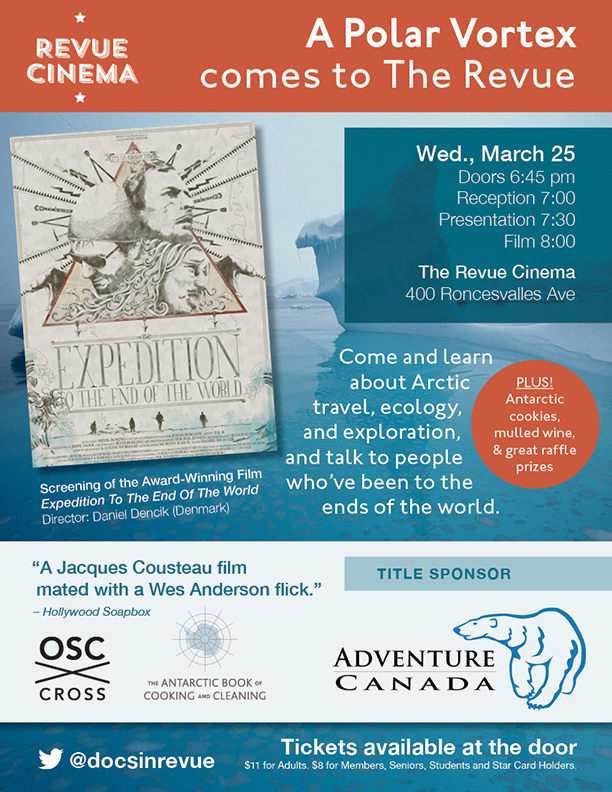 Carol Devine, co-author of ABCC is the local host, Revue Cinema 6:45pm doors, 400 Roncesvalles Ave, Wed Mar 25. Tickets at door. 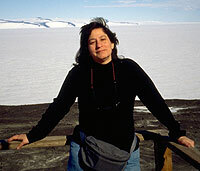 Also hear about Arctic journeys with Adventure Canada exploring culture, ecology, history & more. Sample polar ‘flavours’ hand-made locally, recipes by Wendy Trusler, cowriter The Antarctic Book of Cooking and Cleaning (HarperCollins). With OSC Cross. On International Women’s Day March 8 we celebrate the incredible achievements and advances of women globally. We also take stock of lags in gender equality, pay inequity and ill-treatment of women which sadly includes violence against women and girls, harmful cultural practices, trafficking and restrictions on freedom. It’s true when Wendy and I arrived in Antarctica, Sergey the Russian base commander welcomed us and said “You’re the first women to live here in 26 years.” Of course women had been to the base but not several for an extended period. 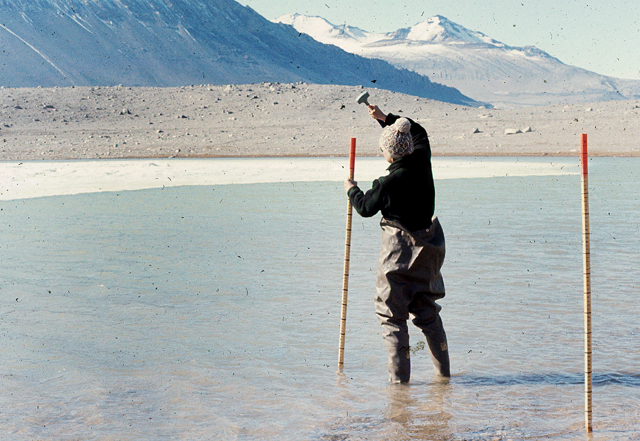 image: Terry Tickhill Terrell sets up an experiment in a pond, McMurdo Dry Valleys, 1969. 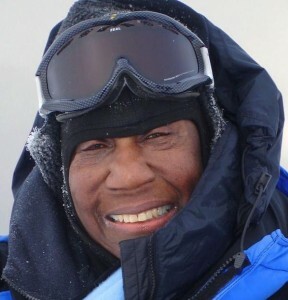 Terrell's experience in Antarctica led her to get a PhD. Men and women have contributed greatly to our understanding of Antarctica, a continent little know until this century. The Antarctic is still full of mysteries and lessons about human past present and future on the planet. It’s an place, if unusual, to likely experience gender equality I’d say because women who go there self-select and are selected by their employers (or sponsors, if explorers) because they are respected for their skills and experience. Because it is not governed by one body but the countries with a scientific (and political) presence there, women are still dependent upon their country’s rules and regulations and in a remote area, and moreover their fellow team mate’s actions and behavior. I’m sure it’s not always rosy in a mini-world where women are still outnumbered by men, and Wendy and I experienced some odd sexist moments, but we felt safe and respected. Antarctica we say is a mirror of humanity and in many cases this is true. 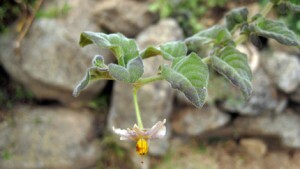 It was unpopulated – the only continent in the world to have no population – until the 20th century. We know this is so because it is largely frozen and as such uninhabitable, unless you bring your own survival equipment, accommodation and food. While there’s a temporary population of approximately 4000 people a year at scientific research stations, the first humans didn’t live on Antarctica until the early 1900s. 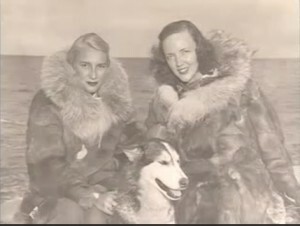 The first women didn’t live on Antarctica until 1946 when Jackie Ronne worked on the private Ronne Antarctic Research Expedition. She and Jennie Darlington, the chief pilot’s wife, were the first women to overwinter. They lived on Stonington Island, Marguerite Bay. 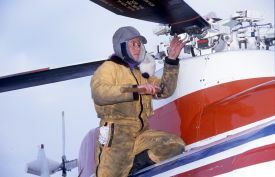 Jackie wrote news articles, press releases and was expedition historian, The expedition did significant mapping and exploration of the Weddell Sea coastline. The first women to see Antarctica would have been sealer’s or whaler’s wives who joined the journey. 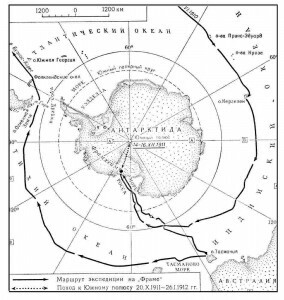 The first record of a man seeing Antarctica was Fabian von Bellingshausen in 1820 (the namesake of the research station Wendy and I lived. However the first to sight may have been British naval captain Edward Bransfield or American sealer Nathaniel Palmer, only the icebergs know if it was another ‘unnamed sailor’). The woman first recorded to have seen Antarctica and even gone onto land is Caroline Mikkelson, a Norwegian whaling captain’s wife, in 1935. So it took over 100 years for women to cross the gender gap. 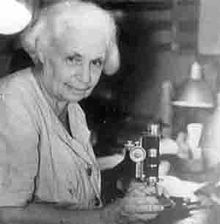 An early female scientist in Antarctica was Maria V Klenova, a marine biologist who joined a Soviet oceanographic team in 1956 mapping uncharted territory. 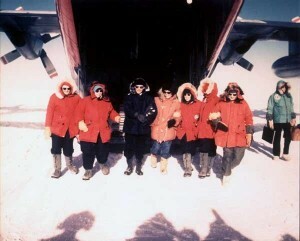 Klenova also touched down on Antarctica, paving the way for other women scientists from her country and others. 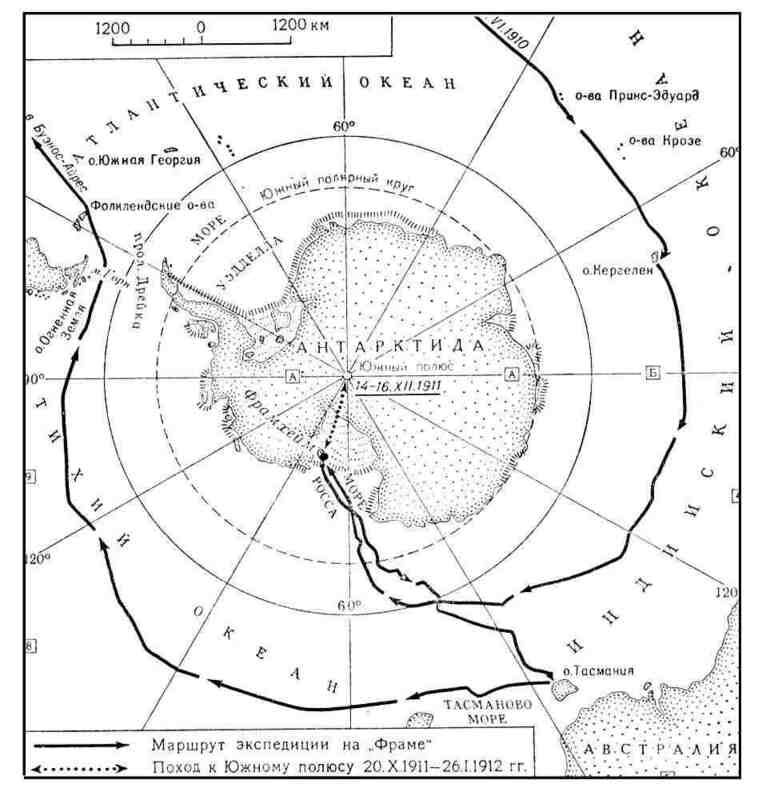 She helped create the first Antarctic atlas, published by the USSR. 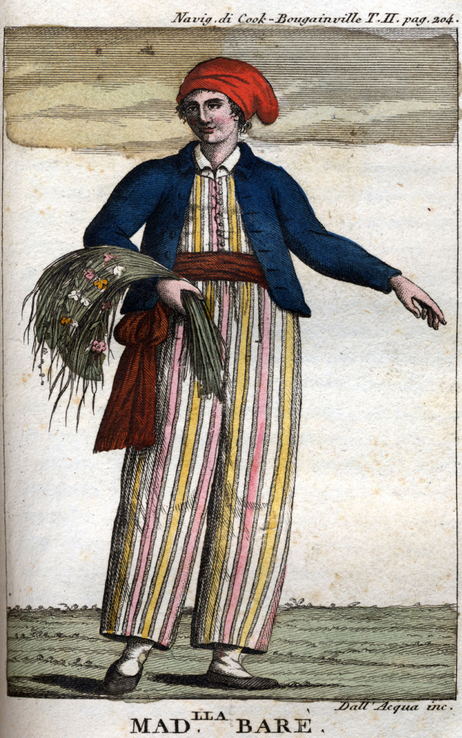 Lets not forget the intrepid Jeanne Baret, a botanist who went to the Antarctic territories, dressed as a sailor, circa 1760. She also was the first woman to circumnavigate the world. Baret was Royal Botanist Philibert Commerson’s assistant on the Bougainville Expedition. 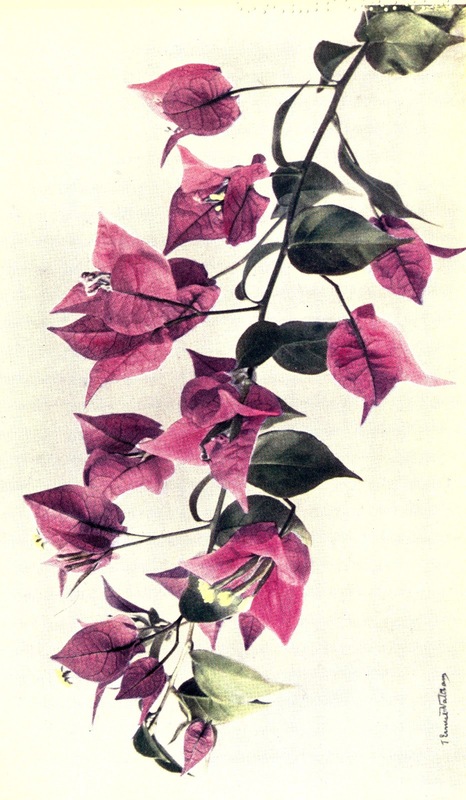 They cataloged thousands of plant specimens along the journey (including of course Bougainvillea). Admiral George Dufek of the US Navy that established the US station in Antarctica, McMurdo, in 1956 said women would join the American teams in the Antarctic over his dead body. The National Science Foundation of the US Antarctic Program also said women couldn’t work on the ice. But Admiral Dufek and others were forced to change their tune by the winds of change, thanks to women and men who blew the sexist and senseless cobwebs and barriers away. Dr Lois, a geochemist at Ohio State University arrived with a four-women US team of researchers and Pamela Young of New Zealand to study the mystery of salty lakes fed by freshwater glaciers in Antarctica’s Dry valleys, amongst other things. Early female scientist in Antarctica, Terry Tickhill Terrell shared this in an interview with The Antarctic Sun. There’s more scholarship by and on women in Antarctica now and an increasing number of women working in scientific programs – up to one third of base scientific, logistic and support staff. Women of course make fantastic contributions to science as do men. The racial diversity gap in Antarctica is still being closed. Kudos to Barbara Hillary, a retired nurse, lung and breast cancer survivor for her determination to reach both poles. At the Scientific Conference on Antarctic Research Open Science meeting in New Zealand this summer I was pleased to see two of the three keynote speakers were women, and amazing women at that. Dr Dana Bergstrom, scientist with the Australian Antarctic Division spoke on Global Messages from Antarctica and Dr Carlota Escuita of Universidad de Granada on Deciphering past climate and ice sheet dynamics from sedimentary records. At the conference I also met young American-Kiwi astrophysicist Sarah Bouckems, Dr Emmanuelle Sultan, marine biologist with the Muséum National d’Histoire Naturelle in Paris, France and Dr Cornelia Lüdeck of Germany, expert in the history of polar research and the history of meteorology, all who inspired me by their diverse work in Antarctica and beyond. I loved the healthy presence of women in this Antarctic scientific world that is fairly new to me. The Executive Officer of SCAR is Dr Renuke Badhe and at the session I presented in Innovations in Communicating Antarctic Science I was delighted to meet co-presenters Dr Vic Metcalf who did an awesome role play including government, NGO and policy actors such as Commission for the Conservation of Antarctic Marine Living Resources (CCAMLR) and Molly Zhongnan Jia University of Tasmania, Institute for Marine and Antarctic Studies, who did the winning presentation, a Krill called Henrietta. Hats off to the women who work in the remote Antarctic regions in harsh conditions with their sense of adventure and commitment to help us know all fields of knowledge and the world better, so we live in the world better.